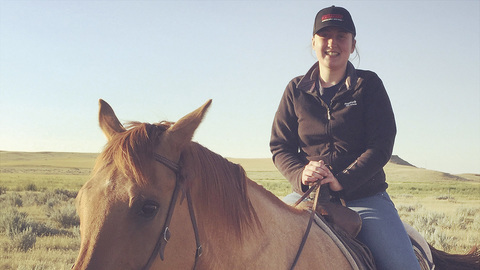 The National Federation of Young Farmers’ Clubs offers members the chance to travel the world to learn more about farming practises and experience new cultures and social circles. Farmers Guardian takes a look at the popular Discovery Programme. Since the dawn of YFC, thousands of members have donned their hiking boots, unearthed their sense of adventure and slapped on the suncream as they embark on the organisation’s discovery programme. Members are offered the opportunity to travel, stay with farming families and participate in working exchanges to destinations round the world. While prices vary according to the duration and location, there are many local and national funds and trusts which can help with funding. We catch up with two Young Farmers who have travelled and embarked on their own farming adventure. I love meeting new people and seeing new places and the opportunity to work at such a big farm in New Zealand was something I couldn’t miss out on. 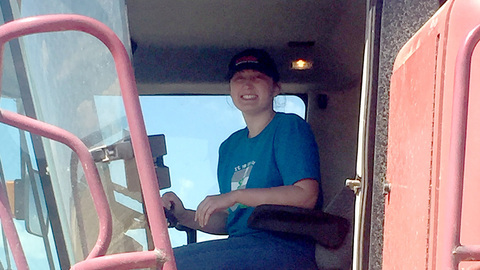 When I applied I did not think the panel would ever pick me, but they did and I had every confidence the farm would be a great place for me to learn. I absolutely love New Zealand – the landscape of the 3,642-hectare (9,000-acre) costal farm I visited is amazing and the whole country is great to explore. 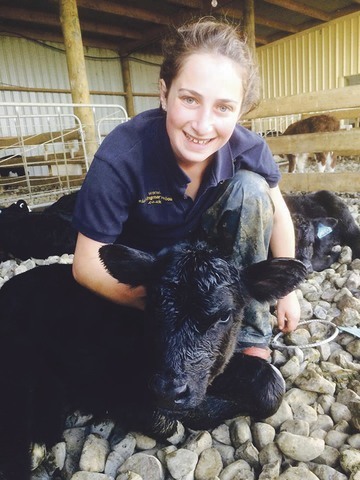 I have so many great memories, but the best one has to be pulling out a live calf from a heifer which was having calving difficulty – it was such a rewarding feeling. Well, it was either that experience, or getting a ride in the fertiliser plane. What I love about New Zealand is how you can do everything, go skydiving, skiing or visit tranquil beaches all within easy driving distance. I learned so much at Limestone Downs, Waikato region. One of the main things for me was being able to put my veterinary studies into practical application. I lambed countless ewes out in the paddock by myself, calved some cows and cured my first milk fever cow. Aside from this, I worked hard and proved to myself how, with determination you can get a long way. I grew as a person at Limestone Downs, as you have a lot of time working by yourself and have to quickly make decisions and act on them. I had the best experience and am definitely missing the costal views from my quad bike now I am sat back in lecture theatres in Liverpool. Although I had been to the USA before, I never had the opportunity to go to Montana or Colorado and the US has always been a country I wanted to discover more about. I wanted to see how their culture and way of life is different to ours, get the chance to see some farms, and how they are different to those in the UK. When I saw Montana and Colorado on the list of states I could apply to visit with the Young Farmers Association, I knew I had to apply as I would be staying with families, living and working with them. I live with my parents on a 63-hectare (155-acre) organic dairy farm in Staffordshire, where we milk 90 Friesian Holstein and Montbeliarde cows. The adventure began in July this year and I first went to the 4H Conference in Montana. It was a great experience and I met some lovely people. Montana was beautiful and lived up to its nickname, ‘Big Sky Country’. I stayed with two families while there – the first family owns a farm and ranch. It was great to see the arable and beef farming, as I’m used to dairy and see the similarities and differences. They have 1,618ha (4,000 acres) of grassland for 180 cattle, which blew my mind. But as it is so dry there, they do not have the lush green grass like we do, so they need more acres to feed their cattle. They also have (650ha) 1,800 acres of crop land, where they grow winter wheat and spring wheat. I was lucky enough to be there while they were harvesting winter wheat. They weigh their wheat in bushels and one bushel equates to 60lbs (27kg). On average they were getting 35-40 bushels an acre, which is about one-tonne, which is quite a difference to farms back home. No tractors and trailers are used in this process. Instead, wheat is collected into lorries which drive 30 miles to their nearest town, Big Sandy, where it is loaded on to the grain elevators and moved across the country via train. Prices are low and certainly it’s not easy to make a living out here. My second family didn’t own any animals, other than a pig and a sheep which two of their daughters had bought a year ago and looked after for their 4H project. I got the chance to see them show and then sell their animals at the county fair. I then flew to Colorado to my third family which had a small livery yard, so I got stuck in with helping muck out stables and looking after the horses. Fort Collins, which is where they live, is also home to many micro breweries and the Budweiser Brewery – so of course we had to try lots of beer. We also did some hiking and got to go to Mount Evans, Pikes Peak and the Rocky Mountains. The last family I visited live in a farming community in Fort Morgan and they are contractors who recently finished harvesting maize for the local dairy farms. They have just finished cutting 1,618ha (4,000 acres) of maize for a dairy farm which milks 5,000 pure Holsteins. The farm runs a 50-a-side parlour and cows are milked three times a day. The parlour runs almost continuously, stopping only for 40 minutes for a wash down each day. The farm is run across two sites, the first being almost the ‘maternity and hospital ward’ where calves are born and where any sick cows are treated and milked in a smaller parlour. The second site is where milking cows and the big parlour is set. For the past few years their Holsteins have been raised by another farmer, but they have now decided to do it all themselves, so currently they are building calf sheds at the main farm. Read now: Progressive Young Farmer: A Mcdonald's resturant at the end of an exciting journey. Unlike home, where dairy farmers are paid by the litre, they are paid per 100lb (45kg) here. Much like home, they are paid different amounts depending on who they sell too. Dairy farmers here haven’t had a good time either, but I did get the impression things were looking a bit more positive now. On average farmers are paid about $15 per 100lbs (£12.25 per 45kg). Maths is not my strong point but I worked out this particular dairy farmer is producing 170,000 litres every 24 hours. It makes my eyes water to think about his milk cheque. My trip has given me so many fantastic new experiences, showing me how people live and the similarities and differences in farming. Moving to new families every three weeks also helped with my confidence a tremendous amount. I have met so many lovely people, I’d like to think are now friends for life and I hope I will get to see them again in the future. Previous: Is the poultry sector for you?